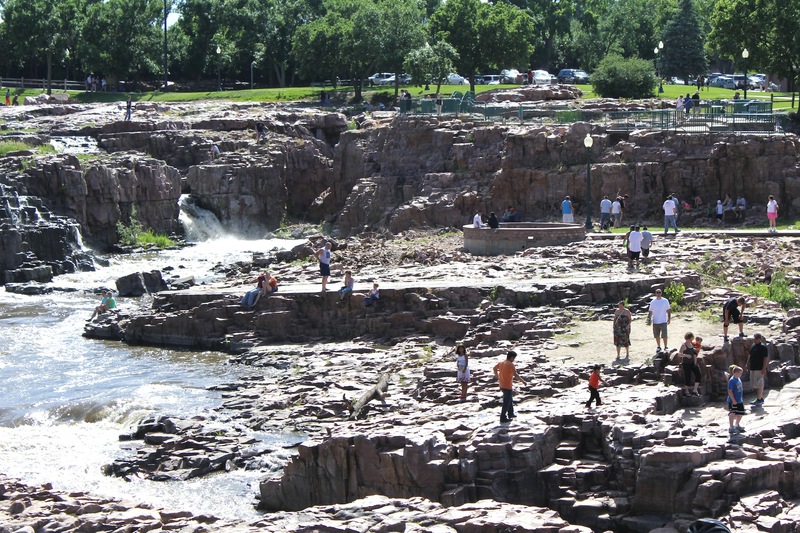 Those are townspeople playing in the falls of the Big Sioux River for which the town is named, right downtown. A decade ago this was a sketchy area, and an enormous pork-processing plant still sits nearby. But as part of an ambitious downtown revival effort Falls Park has been made into a tourist and recreation highlight. The Falls, the packing-house (now owned by the Chinese), the state penitentiary, the advanced aerospace companies, a huge concentration of national credit-card companies, two rival and fast-expanding medical organizations -- in the next few days we'll get to these and other aspects of what I'll argue is one of the most interesting towns in America. 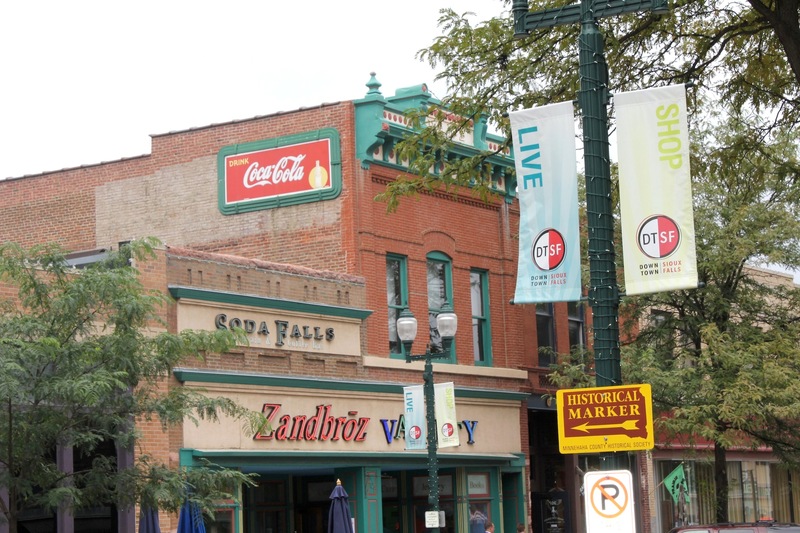 And, one of the most American -- by which I mean, Sioux Falls is impressive but rough around the edges, resilient in ways that aren't always polite. In this era it is an America to the rest of America. This afternoon, Marketplace is kicking off its series of reports from Sioux Falls, and over the next few days my wife Deb Fallows and I, with John Tierney, will be trying to fill in the story. 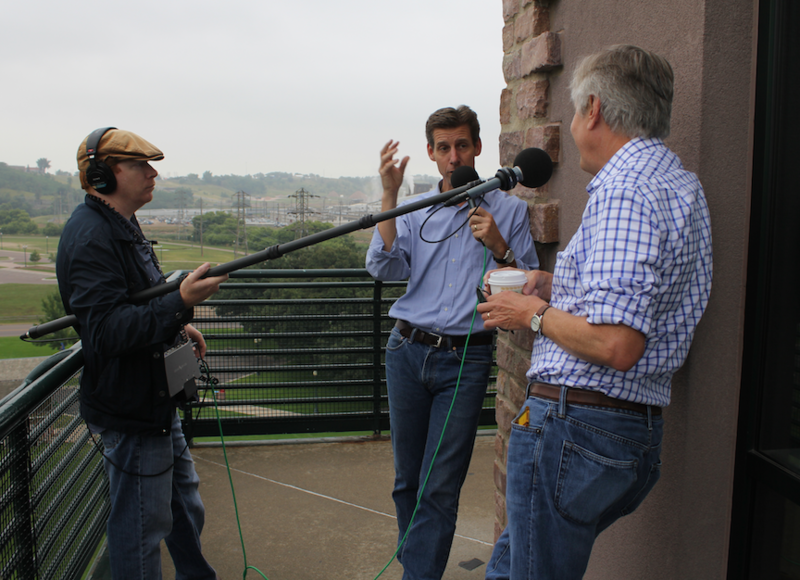 Not long ago I was talking with Marketplace's Kai Ryssdal, in the center, and his engineer Charlton Thorp at the observation tower overlooking the Falls and the packing house. Deb will start with a language post later today. (Why does Dakota-talk sound the way it does?) John will review some Sioux Falls history. And what this man was up to one Sunday afternoon.